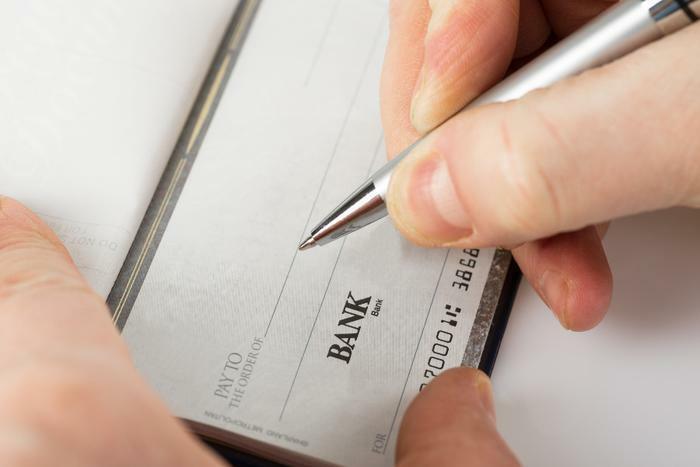 If you still write checks to pay various bills – actual physical checks, not withdrawals made from a check card – there's a new and growing form of check-cashing fraud you need to watch out for. Whether accidentally or on purpose, check recipients can now cash or deposit the same check multiple times — and if you don't catch it right away, you might have to pay. Basically, it used to be that the only way you could cash or deposit a check written to you was to surrender the actual physical copy of it. But nowadays, more and more banks offer a new online-checking tool called “remote deposit capture,” which lets you deposit a check with your smartphone. Essentially, you can send a photo of the check rather than the check itself. It happened to Louise Moon Rosales of Vermont. Twice in the past year, she wrote checks to pay for small services such as yard work. Both were cashed…and then cashed a second time a few months later. Her bank honored both payments. For example: a $100 check she wrote to a high school student for yard work was cashed in December, and then again in April. How? More ominous than the possibility of honest-mistake double deposits is the thought of dishonest people deliberately depositing the same check multiple times. Most banks are good at catching double presentment if it's attempted at the same banking institution through the same device – for example, the same check deposited twice over the same phone. But it's harder for a bank to catch double presentment over different channels, such as “first deposit over your phone, second deposit at the bank's ATM.” And if someone tries depositing the same check multiple times at completely different banking institutions, the banks thus far don't have any systems in place to identify a check that's already been deposited at a different financial institution. Bear in mind: this problem is not limited only to people who use mobile banking options. Anyone who writes a physical check is at risk, because even if you-the-check-writer don't use mobile banking, the check recipient can still use remote deposit capture to deposit it. You need to carefully inspect your checking account withdrawal activity every month — and do not assume that, once a given check has been cashed, you no longer need to worry about it. With remote deposit capture, a check that's already been cashed still has the potential to be cashed again many months later.